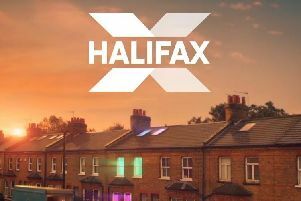 There’s no shortage of screen talent in the north and Square Chapel in Halifax is bringing audiences a selection of the very best to talk about their careers in front of, and behind, the camera this May. Guests include Leeds-born writer Kay Mellor OBE in conversation on May 13. 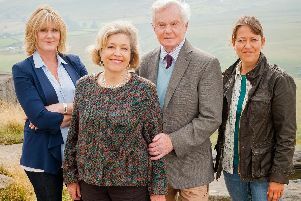 Mellor is probably best known for her work on several successful television drama series including Fat Friends, Band of Gold and The Syndicate. She will be joined on stage for this up-close and personal event by Neil Hurst who starred in Fat Friends the Musical. On May 22, audiences are invited to join Brian Blessed – the larger than life British actor known for his hearty, king-sized portrayals on film and television (and his booming voice). Blessed will talk about his career including anecdotes from Flash Gordon, Black Adder, I Claudius and Z Cars and his many appearances in Shakespearean Productions. He is also an avid climber and has conquered Everest and Kilimanjaro amongst others. Other special guests include Sue Hodge (May 5) who will be discussing Huddersfield actor Gordon Kaye who is best known as French café owner René Artois in the sitcom ‘Allo ‘Allo! Sue who played Mimi in the long running series, will talk about her friendship with Kaye alongside a screening of the classic episode ‘The Flying Nun’. On May 19, film and comedy fans can enjoy an evening of laughter with Dave Johns who is best known for the lead role in Ken Loach’s I Daniel Blake. Dave Johns will be joined on stage for a Q&A by comedian Lucy Beaumont. ing event with Henry Normal (May 29) where they will hear stories about his incredible career from touring with the band Pulp to writing on TV series The Royale Family and Mrs Merton. Other festival highlights include a Q&A with Steve Sullivan, director of the new documentary, Being Frank: The Chris Sievey Story (May 11); a screening of the cult classic Four Lions followed by a Q&A with the CEO of Warp Films, Mark Herbert (May 14) and John Shuttleworth – It’s Nice Up North followed by a Q&A with the one and only Graham Fellows (May 26). Fans of the hit TV series Last of the Summer Wine will love Summer Winos Live! (May 24). Films in this strand of the festival include A Boy, a Girl and a Bike from 1949 – to be screened on the day the Tour de Yorkshire departs from The Piece Hall (next door to Square Chapel); The Silent Classic Helen of Four Gates (1920) accompanied by live piano; and A Taste of Honey (1961) – the landmark drama featuring great performances from Rita Tushingham and Murray Melvin. The festival will also pay tribute to Halifax actor Wilfred Pickles OBE who starred in a string of film, television and radio favourites from the 1940s to the 1970s including The Gay Dog (1954), The Family Way (1966) and Billy Liar (1963). After the screening of Billy Liar, there will be a Q&A with Carolyn Pickles - Harry Potter and Broadchurch actor, and great niece of Wilfred. The festival takes place from May 3-29.